Our Advisory Board works to ensure a timely, topical, and robust event agenda. They review our agenda research, and program flow, ensuring a well structured coherent programme, where all sessions link well together. They ensure each track provides several detailed views on the subject, and each session is the right depth, and delivers how-to solutions on the pressing need-to-know issues that are of upmost importance to the eco-system. John is the Sr. Director of Global Lean Enterprise at Nike’s headquarters in Beaverton, OR. He is responsible for developing the corporation’s worldwide lean deployment efforts. This includes training and development, metrics, strategy, recruiting, coaching, continuous improvement and tracking business benefits. His scope includes driving lean principles throughout the Nike business including external suppliers, customers and internal operations. Prior to joining Nike, John held leadership positions in a number of companies including Waste Management, ServiceMaster, and Sears. In addition, he served as a consultant at Breakthrough Management Group, where he guided organizations in utilizing continuous improvement & innovation to improve business performance. Mr. Biedry graduated from Long Island University with a Bachelor’s degree in Environmental Science and a Master’s degree in Public Administration and Environmental Planning. Zac is the Senior Director of Business Excellence and Customer Insights for eBay Marketplaces. In this capacity, he is responsible for the operating effectiveness of the Global Customer Experience organization which includes customer service, policy and risk management, billing and payments, and operations support service functions. His team’s mission is to create consistently excellent and efficient experiences that result in loyal customers. Zac has 20 years of global leadership experience spanning military/government, operations/manufacturing, and technology industries. He joined eBay in 2010 from the world’s largest drilling services company where he led global operations responsible for 5500 employees and the profitability, productivity, safety, and asset management of a $1.2B business. Prior to that, Zac served in a variety of leadership roles in operations; finance; strategy; and mergers, acquisitions, and divestitures. Zac earned a B.A. from New Mexico State University and an M.A. from the University of Phoenix. He holds certifications in Project Management, Strategic Change Management, Six Sigma Black Belt, and Lean. He is also the General Manager for eBay in Austin, Texas where he lives with his wife and three sons. Bob leads the GCI team for Walmart, Inc. He has responsibility for the global CI CoE, to include governance, service delivery models, toolkits, and measurement tools for the enterprise. The work involves Lean, Six Sigma, Business Process Management, Business Project/Program/Portfolio management methodologies and support structures. Bob has over 20 years of deep Lean, Six Sigma, Portfolio/Program/Project management leadership in Manufacturing Government, Financial Service, Technology, Staffing and Retail industries. As Vice President – Process Management Ron is responsible for Lean/Six Sigma strategic direction and implementation for Macy’s Logistics and Operations as well as Six Sigma support to Major corporate initiatives. Ron’s extensive career in process improvement and innovation spans over 34 years and includes key leadership roles in Industrial Engineering, Quality Assurance, and Operations for Lockheed Martin, NCR Corporation, and Macy’s. He is a Certified Master BlackBelt and has trained, coached, and mentored hundreds of Black Belts not only to certification but to larger leadership roles in their companies and careers. Ron’s broad Lean/Six Sigma experience in multiple industries, both tactical and strategic has enabled him to be a part of successful and impactful change from the ultimate Design for Six Sigma applications on major weapon system programs at Lockheed Martin, to changing inventory strategies for key retail hardware and software products at NCR, to achieving results of 20 best years in a row with Macy’s Logistics and Operations. 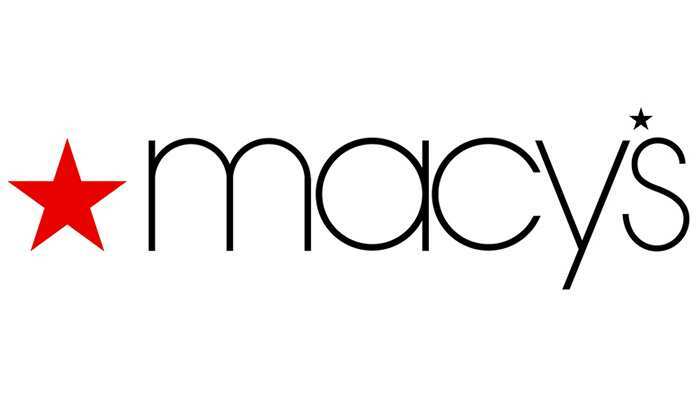 Macy’s is not only a leader in the retail industry, but has found the secret sauce to getting high impact from Lean/Six Sigma tools and methodologies once thought to be only for manufacturing and making it part of the DNA of the organization. Rich joined BMW in 1993 and has worked in various functions within vehicle assembly and product launch throughout his career. 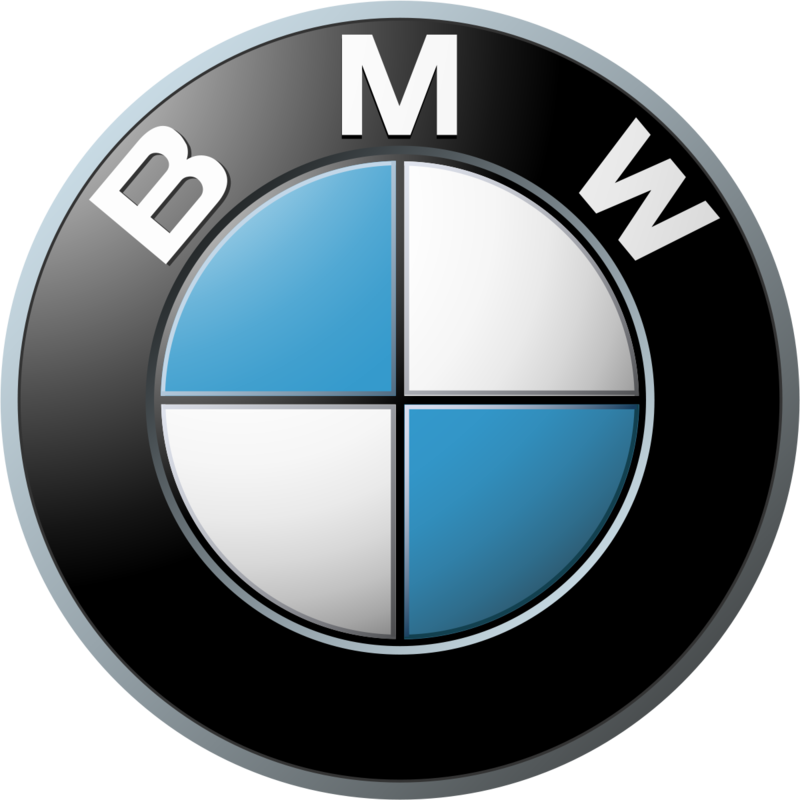 During the early years of BMW’s plant in South Carolina, he served as Quality Manager for the initial 3 series and Z3 launches. He also served as Planning Manager during the planning phase for the first generation X5, Assembly Manager for Z3/Z4 production, and Assembly Project Leader for the first generation Z4. In 2004, Rich and his family moved to Munich, Germany while he worked as Plant Project Leader for the second generation X5. In 2009 Rich became Vice President of Assembly and Logistics for the South Carolina plant. In 2015, to support the plant’s continued growth, Rich assumed his current role as Vice President of Product Integration, responsible for the integration of all new vehicle projects into BMW Plant Spartanburg. Rich has his Bachelor’s Degree in Mechanical Engineering from General Motors Institute and an MBA from Clemson University. Prior to joining BMW, Rich worked for GM’s Buick Transmission Division in Flint, Michigan and Nissan Motor Manufacturing Corp in Smyrna, Tennessee. Jack joined Rolls-Royce as Quality & Improvement Director, Turbines & Compressors, for the Indianapolis IN Business Operations in 2011 where in 2003, successfully piloted the 1st six sigma deployment strategy to address critical customer issues. Since then, he has held broader Quality & Improvement roles in the Operations, Helicopter Customer Facing Business Unit and Defence Sector business and his current Corporate HQ role as Head of Process Excellence & Business Improvement. He has professional accountability for the Master/Black/Green belts across the Group as well as developing and implementing strategies, processes, and methods to help enable the businesses to deliver their business commitments. Additionally, Jack is accountable for the Group’s Quality and Continuous Improvement information systems and key strategic programmes. Prior to joining Rolls-Royce, Jack worked for over 16 years in the automotive Tier 1 (General Motors’ Inland Fisher Guide, Sintering Technologies, and Autoliv ASP) and consumer/residential building products (Broan-Nutone Division of Nortex) sectors in key operational, technical, quality and continuous improvement leadership roles helping the businesses transform into a profitable lean enterprise. Jack holds an B.S. in Chemistry and minor in Physics from Ball State University. He is a Senior member of the American Society for Quality (ASQ), past Education Chair for the Indianapolis ASQ section and maintains 3 ASQ certification in the Certified Six Sigma Black Belt, Certified Reliability Engineer and Certified Quality Engineer body of knowledge. Jack is also a certified Master Black Belt and lean expert. Bill Owad, senior vice president of Operational Excellence specializes in the strategies and tools that support the pursuit of a lean enterprise. Working with a team of nearly 150 Operational Excellence staff members and coaches aross Cardinal Health, Owad is responsible for developing and implementing an enterprise approach to Operational Excellence at Cardinal Health, ultimately improving the value delivered to the company’s customers. In addition to his role as senior vice president, Owad also supports the extension of Operational Excellence external to Cardinal Health as the executive sponsor for the company’s relationships with the Lean Enterprise Institute (LEI) Partner Program, the Healthcare Value Network, The Ohio State University Fisher College Center for Operational Excellence and the Conference Board Quality Council. During his tenure, Owad has held several positions within Operational Excellence and has served as the primary architect of the company’s enterprise-wide deployment of Operational Excellence, which, over eight years, yielded significant improvements in customer loyalty, employee engagement, operational performance and working capital utilization. Prior to joining Cardinal Health, Owad held several operations and administrative roles that have used the tools of Lean Six Sigma to transform health care provider organizations, supply chain and medical supply companies. These roles include corporate director of quality for ProMedica Health System, executive director for Cordelia Martin Health Center and several adjunct faculty positions with the College of Pharmacy at the University of Toledo and other nationally recognized programs. Owad is also active in the community, serving in the past as board chair for the Central Ohio American Red Cross BioMedical Services, board chair for Cordelia Martin Health Center, senior examiner for the Malcolm Baldrige National Quality Program, and examiner / team leader for the Ohio Award for Excellence. Currently, Owad serves as a board member for the Partnership for Excellence, Mid-Ohio Foodbank, and the ASHP Research and Education Foundation. Owad received his bachelor’s degree in Pharmaceutical Sciences and his Master’s of Business Administration from the University of Toledo. His post-graduate work includes the achievement of Fellow status with the American College of Healthcare Executives, multiple Lean Six Sigma certifications and continued development as a Lean leader through his work with Cardinal Health and LEI. Owad has also authored several publications and presentations on quality systems and customer loyalty. Jeff Porada is the Operational Excellence Manager at Jabil. Jeff manages the lean deployment, plus expanding the exposure and responsibility of Jabil's Quality Systems deployment and Industrial Engineering. He is responsible for the strategically-driven transformation efforts of Jabil’s Corporate Functions and Capabilities, including: Information Technology, Human Resources, Finance, Legal, Supply Chain Management, and Engineering Technology Services. Jeff has 20 years of professional experience of working in various industries with the ability to successfully influence and positively impact a culture at all levels of an organization to embrace a philosophy of continual improvement. Jeff has a demonstrated track record of driving business transformations resulting in significant financial savings and operational performance. Prior to joining Jabil in 2012, Jeff was the Vice President for Operational Quality & Training for Wyndham Consumer Finance. He was responsible to develop and deploy the strategic direction of the process excellence methodology, quality assurance processes, and the career development of internal associates. Years before joining Wyndham Worldwide, Jeff worked for HSBC Mortgage Services, ICI-Paints, Solectron Technologies, and Automata International. He is a certified Lean Six Sigma Master Black Belt and is an active volunteered leader with American Society for Quality’s International Team Excellence Awards. Jeff graduated from Ohio University in 1996 with a Bachelor of Science Degree from the School of Engineering and Technology. He has lived in Tampa, Florida for 13 years with his two teenage children. In his spare time, Jeff enjoys riding his jet ski, traveling, and playing organized ice hockey. Tom Paider is an IT executive for Nationwide, a Fortune 100 insurance and financial services company. His teams work across Nationwide to apply lean thinking to technology. He is the coauthor of the book The Lean IT Field Guide. Tom regularly consults with companies in a variety of industries across the globe on their lean transformations. Tom is the cofounder of the IT Leadership Network at The Ohio State University, a partnership between industry and academic leaders focused on helping member companies sustain their lean IT journeys. He also teaches in the Masters in Business Operational Excellence program at Ohio State’s Fisher School of Business. Tom is a seasoned IT Executive and Lean Coach who is passionate about bringing higher levels of performance to organizations. Dr. Rodolfo Santamaria is currently the Vice President Operational Excellence, Supply Chain Management and Compliance of ADT Security services. ADT is one of the most trusted and well-known brands in the security industry, serving more than seven million residential and small business customers with nearly 20,000 employees. Dr. Santamaria has nearly three decades of senior experience in operations excellence, network optimization, business transformation, IT, supply chain, strategic sourcing Information Technology and Lean Six Sigma with Fortune 500 companies. He holds a Doctorate degree, MBA, and BS in International Business coupled with a Mechanical Engineering background. He also is a certified Six Sigma Master Black Belt. Prior to his current role, Rodolfo held various executive positions at Tyco International, including Fire & Security Regional Group Director and CIO, comprised of supply chain, operational excellence, information technology (IT), environmental, health and safety (EHS&W), real estate, operations, mergers and acquisitions (M&A) and trade compliance for the Retail, Fire, Residential, Small Business and Commercial verticals. Prior to joining Tyco, Rodolfo held leadership positions at All American Semiconductors, HB Fuller Company, Beauty Group International/Cosmo International Latin America, Deloitte Consulting, Vitro Group and FAA Repair Station, in operations, global supply chain, operational excellence, multi plant management, EH&S, engineering and quality. José Pires serves as the Global Excellence & Innovation (E&I) Leader for Andeavor Corporation, where he oversees the global identification, prioritization and execution of mission critical business improvements and innovations that add value to the company, business partners and external clients in multiple markets. Prior to his current role, Pires held Excellence and Innovation leadership positions in large, global companies in the electronics (Sony), semiconductor (Cymer-ASML), food (Nestlé) and infrastructure (Black & Veatch) industries. Throughout his career, Pires developed and refined E&I as an award winning program for innovation, leadership development, strategy execution and value creation globally. Pires is an advisory board leader and keynote speaker for several global conferences on innovation, operational excellence, leadership development, strategy execution, business transformation, customer engagement and growth acceleration. He holds a Bachelor in Engineering Physics from the University of Kansas and a Master in Business Administration focused in Investment Banking and Entrepreneurship from the University of San Diego. Ms. Nunes joined Smith & Nephew in February 2012 as Vice President, Commercial Supply Chain working in the Baar, Switzerland office. Since re-joining Smith & Nephew, she has been seconded to large transformation projects and assumed a newly created role leading process optimization in 2016. In her first transformation project at S&N, Ms. Nunes was responsible for a program to design and implement a “standard way of working” across all divisions and locations in Smith & Nephew’s established markets of Europe, the United States, Canada, Australia, New Zealand and Japan. The global design was implemented in pilot markets of Germany and Switzerland in September 2013 and has since been rolled out to all European markets, Australia and New Zealand. The team is currently planning for the implementation in the United States and Canada. As part of this program, the team has delivered a single global ERP platform and business intelligence reporting tool. In 2014, she was tasked with leading the $1.7 billion acquisition of ArthroCare Corporation, a complimentary medical device company focused on soft tissue repair and coblation technology primarliy in the area of arthroscopy and otolaryngology. The acquisition is expected to deliver substantial cost and revenue synergies that add approximately $85 million to annual trading profit in the third full year. Ms. Nunes created and led a global, cross functional team in developing and implementing country specific business strategies which included the integration of people, processes and systems. The integration was completed in nine months with key metrics comprised of retaining top talent, protecting the R&D investment, and rapidly leveraging the larger S&N global footprint while maintaining the core business growth in high single digits. Ms. Nunes holds an MBA from Boston University, graduating from the International Management Program based in Kobe, Japan, as well as a BS in Chemistry from the University of Illinois, Urbana. Angel R. García is an engineer and process improvement executive with over 20 years of experience in Global Operational Excellence Programs, Global Supply Chain Management and Commercial Operations. Currently Angel holds the position of Global Continuous Improvement Leader at Catalent Pharma Solutions. Before joining Catalent in 2016, Angel was the Vice President of Operational Excellence for Univision Communications Inc. where he developed and executed the first OpEx Program at the number one Hispanic Media Broadcasting Network in the United States. Chief Quality and Transformation Officer, Morningstar, Inc.
Anu George is Chief Quality and Transformation Officer for Morningstar. She is responsible for providing strategic direction to Morningstar’s operational excellence & continuous improvement initiatives. She works at the intersection of operational excellence, human behavior & technology. Anu is an avid reader, and has an eclectic choice of the books she reads. She enjoys learning and experimenting with new thoughts in the world of change management, organizational behavior, operational excellence, LEAN & Agile. Anu has more than 20 years of experience in operations management and Lean Six Sigma. Before joining Morningstar in 2010, she had worked for Unilever and GE. She is a frequent speaker on topics including business process excellence and leadership. Anu holds a bachelor’s degree in economics and accounting and a master’s degree in business administration, with a specialization in marketing, from the University of Mumbai. Head of Productivity, PBC, Product Mgmt., Process Systems Eng. & Ops Excellence, Global HyCO, Praxair, Inc.
Solomon Dadebo is currently Head of Productivity, Product Management, Pipeline Business Center and Process Systems Engineering, Global HyCO, Praxair, Inc., The Woodlands, Texas. He has held positions of increasing responsibility that covers Process systems engineering, product management and Energy Management since he joined Praxair in 2000. He has a passion for operational excellence pertaining to facility-wide optimization and effective performance monitoring. Prior to joining Praxair, Solomon worked with Imperial Oil Ltd as a Lead Process Control Applications Engineer in Sarnia, ON, Canada. He holds a Doctoral Degree in Chemical Engineering from Queen’s University at Kingston, ON, Canada and a Master’s Degree in Chemical Engineering from the University of Toronto, ON, Canada. He holds 4 patents. Head of Process and Cultural Excellence, Sandoz, Inc.
Terry Barnhart is Head of Process and Cultural Excellence at Sandoz Inc., a division of Novartis delivering affordable medicines to patients around the world. His recent book, Creating a Lean R&D System, describes his proven methods for transforming scientific innovation through rapid, low-cost learning. Used successfully at Pfizer, the US Marine Corps, the US Navy, Proctor and Gamble and Lexmark, these methods repeatably double the rate and quality of team and organizational innovation. At Sandoz, Terry combines organizational development and team dynamics approaches to assess and transform team, function and company culture to support our journey to be the best. Most recently, Terry has begun working on corporate operating systems. Like computer operating systems, these systems define what can be done in a company and what cannot. This makes corporate operating systems among the most powerful mechanisms in a company. Unfortunately, like computer operating systems, they operate in the background, rarely seen and almost completely misunderstood by users. By creating a framework to assess and ultimately adjust corporate operating systems, companies will be able to deliberately create new growth trajectories for themselves in the same way that iOS and Android radically changed the value of mobile devices. Dr. Barnhart holds a PhD and worked as a research scientist at GE, a consultant at McKinsey and Company, and an R&D strategist at Pfizer. He lives in New Jersey with his wife, two daughters and an exuberant German Shepherd. Maria Thompson is a senior technology operations leader with international experience in innovation, change management, and organizational capability improvement. She facilitates teams to creatively solve problems to generate strategic patent portfolios and new product and service designs. She has introduced new processes, technology, and culture change to organizations, resulting in creativity, quality and productivity improvements. She’s an accomplished innovator and patent-holder skilled at fostering alliances with senior management, strategy, legal, research, marketing, engineering & services personnel. She’s successfully improved the innovation capability of organizations ranging from five to 5000 staff across AT&T Bell Laboratories, Motorola and now Illinois Tool Works, Inc. (ITW). Since early 2014, Maria partners with ITW business innovation leadership in a Senior Director role to accelerate organic growth with a global innovation process framework. In addition to harmonizing business stage gate processes with the Innovation Framework for continuous improvement, she facilitates innovation tool workshops, expedites cross-Segment communications and creative problem solving, and enables best innovation practice sharing with an annual global Innovation Summit. Workshop topics include: Facilitating Small Teams, Customer Interviewing, Value Proposition derivation, Go To Market Strategy and Planning, and Structured Brainstorming. She holds an M.S. in Math and Computer Science from the University of Waterloo, and B.S. Computer Science with a Statistics minor from Iowa State University. 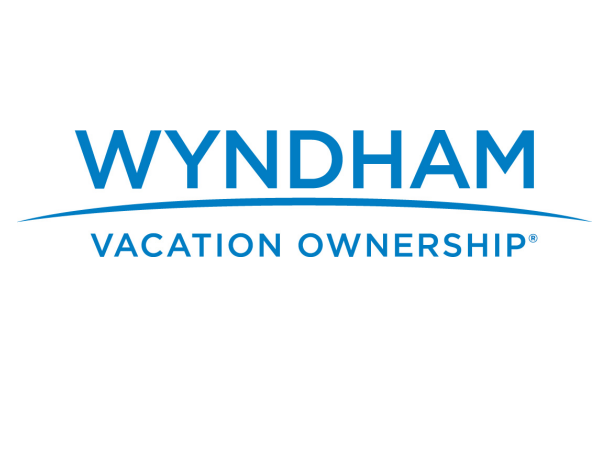 Currently, Jason is Director of Business Improvement and Quality at Wyndham Vacation Ownership in Orlando, Florida. Prior to Wyndham, he worked in a variety of positions in areas such as finance, operations, supply chain, and human resources. He is a Six Sigma Master Black Belt from General Electric and helped implement Lean Six Sigma programs at other employers, including CHEP and Cisco Systems. A former Army officer, Jason is a graduate of the United States Military Academy at West Point and earned a Masters of Business Administration from Regis University, Denver, Colorado. Jason has trained hundreds of employees in Six Sigma, Project Management, Change Management, and Leadership. He is the co-author of Making Telework Work: Leading People and Leveraging Technology for High-impact Results (Davies-Black Publishing, 2009), Gridiron Leadership (Praeger, 2009), Workshift: Future-Proofing Your Organizations for the 21st Century (Palgrave Macmillan, 2013) and contributing author to Six Sigma and Software Quality Improvement (McGraw-Hill, 2010). Moreover, Jason has published in journals, magazines, and websites such as Quality Progress, Review of Business, Business Journal, Strategic HR Review, American Business Review, isixsigma.com. He brings over 26 years of experience (over half in Japanese companies) in the areas of supply chain, asset management, production engineering, maintenance and manufacturing, including fabrication, assembly and testing. Former employers include: Zimmer Biomet, Toyota Boshoku, Leggett & Platt, Borg-Warner, Denso Corporation, Harley-Davidson/Utilimaster, and General Motors/ Saturn plant. He is a subject matter expert in Operations Excellence. He is certified in Ergonomics, Lean Manufacturing, Total Industrial Engineering, Change Management and VA/VE. He has completed a Lean Six Sigma Black Belt from the University of Tennessee, Center for Executive Education. Furthermore, Riad is also a Malcolm Baldrige Examiner-in-Training 2014. Riad is a frequent guest speaker at national and international conferences including Nora Corp.’s Reliable Plants. Riad has developed a new lean device named “Honky-Tonk” that is based on the TPS-Jidoka system, basically making any machine a smarter one. Riad holds a Master of Science Degree in Engineering Management and a BS degree in Industrial Engineering from The University of Tennessee, Knoxville. Through his experience Riad has learned that different cultures learn differently. His teaching style is very diverse and most importantly, he provides a can-do attitude. Those he works with often acquire a thirst for more understanding.